The EU is ready to lend €35 billion to Greece between now and 2020 if Athens agrees to implement reforms, European Commission President Jean-Claude Juncker has said. 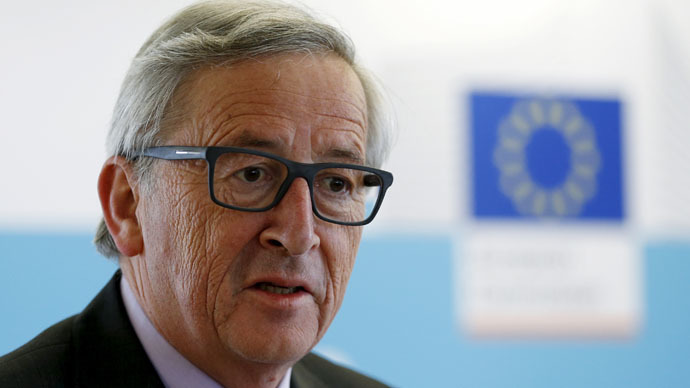 "Greece can get a considerable sum, €35 billion euros until 2020, provided that they implemented programs that would enable our Greek friends to master these funds," said Juncker, speaking to the members of the European Committee of the Regions on Thursday. The money is already reserved to Athens, but the allocation depends on Greek reforms, Juncker said. On Friday, Greece is due to make a payment of over €300 million to the IMF, the first of four tranches totaling €1.6 billion euro due in June. As of Wednesday, five months of €7.2 billion bailout-for-reforms negotiations between Athens and international creditors had failed to produce any result. Since 2010, when Greece’s sovereign debt crisis worsened dramatically, EU and the IMF have lent the Greek government nearly €250 billion in return for brutal austerity measures that have seen the Greek people plunged into deep poverty. Despite a partial write-down of Greek debts in 2012, its public debt is currently €316 billion, 175 percent of GDP. This is three times the maximum permissible level of this indicator for the eurozone countries, which, according to the Stability and Growth Pact, is 60 percent of GDP.